Late Sunday night a tragic accident forever changed the lives of 3 young children. Alex (10), Ivan (9) and Mariela (2) who were buckled up in the back of their parent's car when they were struck by another vehicle. The driver of that vehicle dozed off and created this heartwrenching situation which will forever change the children's lives. WE LOST OUR FAMILY. Leaving Jose (25) and Lili (21) to be in charge of their young siblings and their parents services. 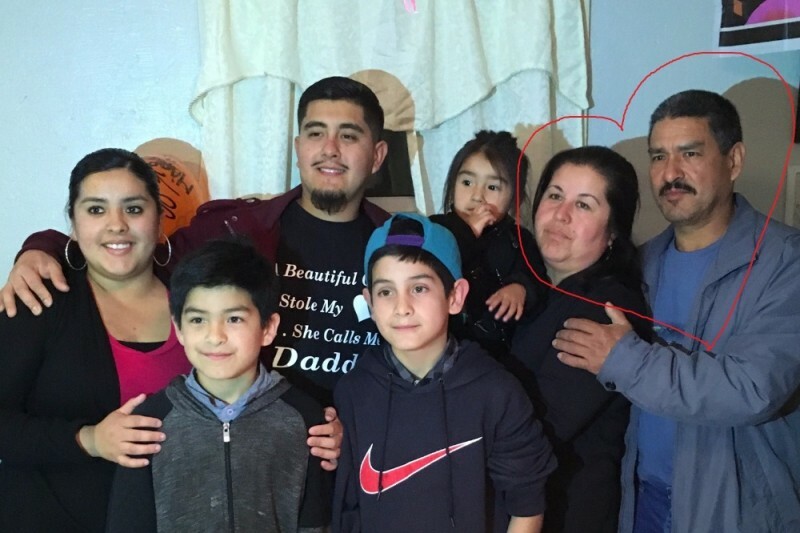 Any small donations would be greatly appreciated and will make a huge impact in helping this family lay their beloved parents to rest in peace forevermore. This update is to each and every individual who has taken the time to donate, THANK YOU FROM THE BOTTOM OF OUR HEARTS! Words will never be able to explain how much all this help means to our family. We want you all to know that ALEX, IVAN & MARIELA, as well as MARiO (the cousin also in the accident) are in good hands and healing, slowly but surely. We have all sat together and read all the comments & let me tell you.. they run deep, thank you!The kids are under the care of Jose, his girlfriend Lily and oldest daughter Liliana. Our main focus is keeping the kids healthly and with time back to school and daily activities. We will not be splitting the kids up as they need each other. I was working in the ER that night when this happened, and let me tell you that it really hit a soft spot in my heart. My prayers went out to this amazing family. May God Bless you all. Our thoughts and prayers are with you. When I was growing up. Our families would get together all the time. We shared a lot of laughter. RIP : Socorro y Roberto Bolanos. I will keep your family in my prayers. Take heart-- our bodies are temporary but our souls are eternal through Jesus! Mis más sinceras palabras de condolencias en estos momentos tan tristes Paz a sus restos ! I know it is very hard, I was VERY CLOSE , think about a long term trust, for the children with the funds you have. I know the best trust attorney in the state, he does my daughters after her accident. I am available to help you, I've lived this nightmare. I'm on Facebook, find me if and when you are ready. My heart breaks for you all. My heart aches for everyone involved in this tragic accident. Roberto and Socorro were at our house all the time and vice versa. I remember many good times with them. They'll be greatly missed. I'll be praying for all their children and everyone else. May God help us all and may our great Savior have them both in his glory forever more. Roberto y Socorro que en Paz descansen. Your family is in my prayers. May God guide you as you raise your siblings. My deepest condolences to you and your family. Touched by your tragedy and want to help - may God go with you every step of the way. Le pido que Dios les acompañe y bendiga ahora y siempre. Your family has been a big part of ours for years now. Thank you for everything you have done for us. My stepdaughter is in Alex's class.